A new tile set for Pretty Good MahJongg is now available. The flags of the world tile set can be downloaded from <http://www.goodmj.com/pgmj/tilesets.html>. This tile set is for use in tile matching games only, as there are no numbers on the tiles, only flags of different countries. The object in tile matching with the flag set is to remove pairs of tiles with the same country flag. You can also download three new tile matching layouts for Pretty Good MahJongg from <http://www.goodmj.com/pgmj/layouts.html>. With the new version 1.11 of Pretty Good MahJongg, you can now create your own tile matching layouts with the layout editor (available only in the registered version). If you come up with a good layout, send it to us and we'll put it up on our layouts page. These three new layouts are in addition to the 32 tile matching layouts in the latest version of Pretty Good MahJongg. If you haven't yet downloaded version 1.11, you can download from <http://www.goodmj.com/pgmj/download.html>. 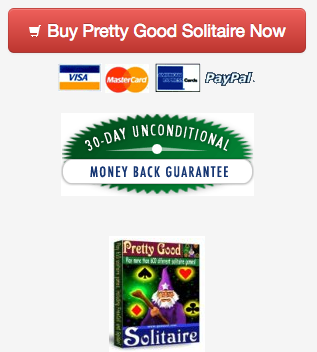 We now have a procedure where you can make your own card sets for Pretty Good Solitaire. While it is not automatic and you will need to send your artwork files to us so we can compile them into a card set, if you have artistic ability it is a way you can create your own cards. 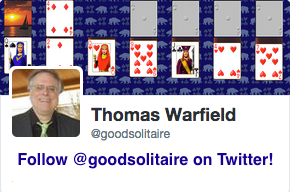 See the procedure at <http://www.goodsol.com/pgs/cardsetsmake.html>. You can also download card sets that other players have made from that page, there are four new card sets made by players currently available. We've updated our cat pictures page at <http://www.goodsol.com/cats> with new pictures of Lady Jane, Inquistor, and Ace. This game is at Chinese Spider.